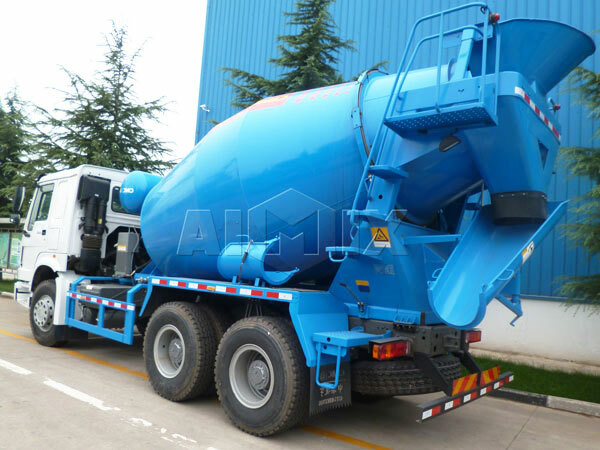 Concrete transit mixer for sale is a specialized device to mix and transit concrete for construction. 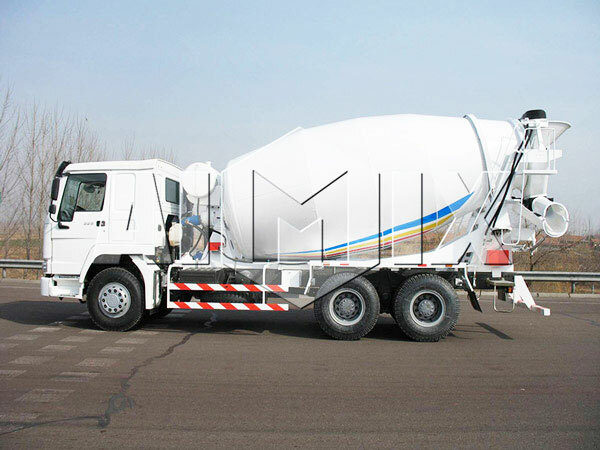 It consists of chassis and concrete mixer tank, the mixer tank is installed on the chassis. 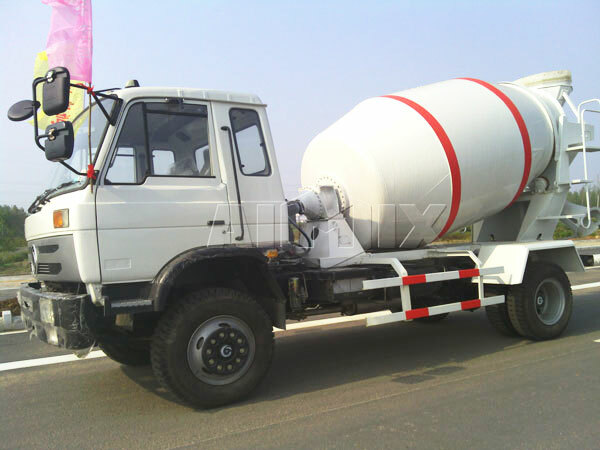 Chassis model: CA, DF, ZZ, BJ, Dongfeng, HOWO（Sinotruk）, Shaanxi, Auto, North Pennines, Isuzu, Foton, Delong. 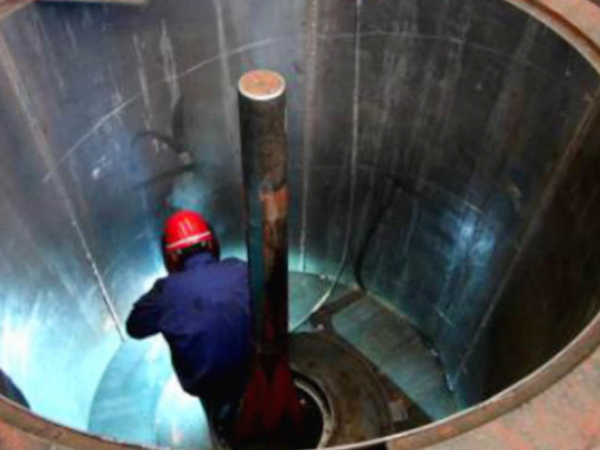 During the transit, the mixer tank will keep rotating, in sase concrete will disintegrate and congeal. 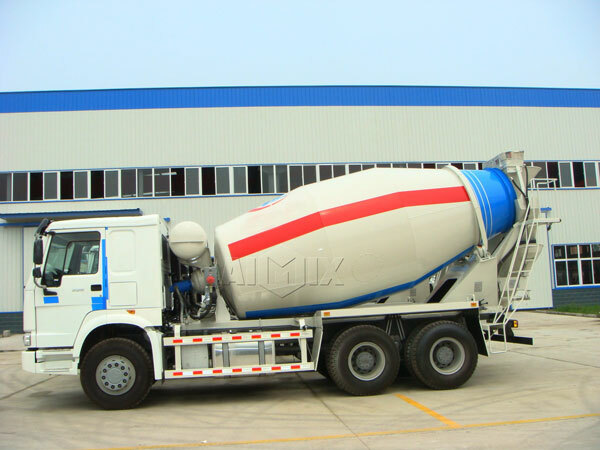 For it has double function of mixing and transiting concrete. 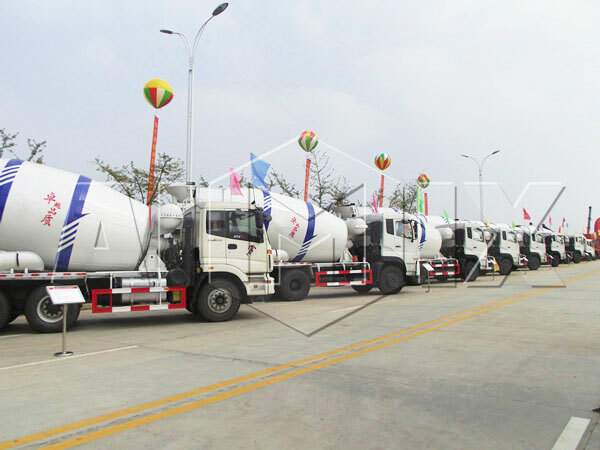 Concrete transit mixer capacity mainly is 3cub, 4cub, 5cub, 6cub, 7cub, 8cub, 9cub, 10cub, 12cub, 14cub and 16cub. 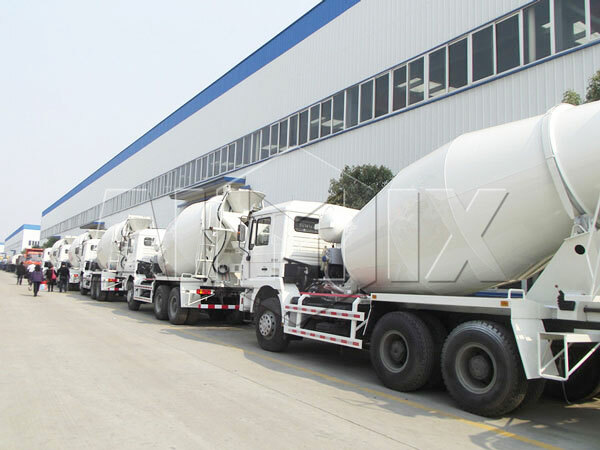 What’s more, it not only can serve for concrete batching plant but can mix and produce concrete independently, but needs to mention concrete quality is general. 3. 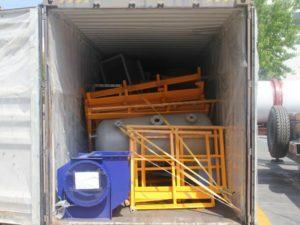 Process of shotblast pretreatment. 5. Dust-free spray paint and baking varnish process treatment. Driving cab: it is the place where driver works. Transmission system: transmit the power to driving wheels. 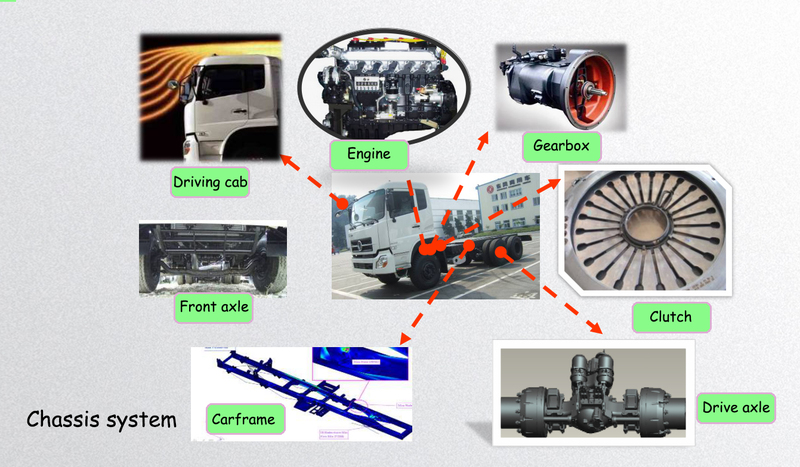 Mainly including clutch, gear box, transmission shaft, driving axle, etc. 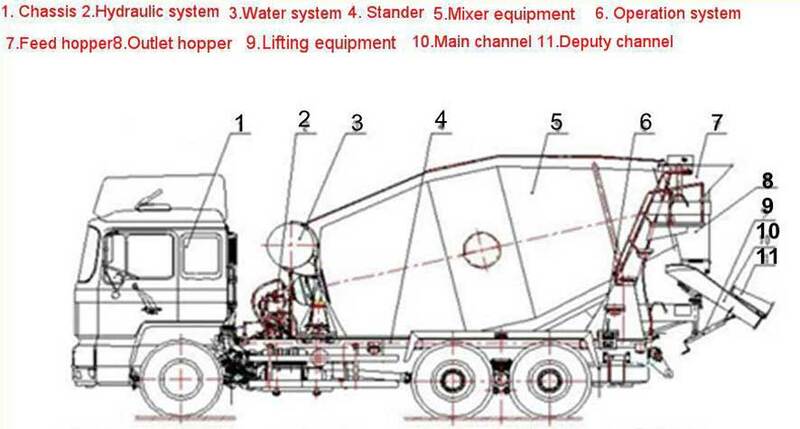 Driving system: put all the assembly and parts into a unit and support the whole truck, to ensure the normal operation, primarily covers carframe, front axle, axle case of driving axle, wheels and hanger bracket, etc. 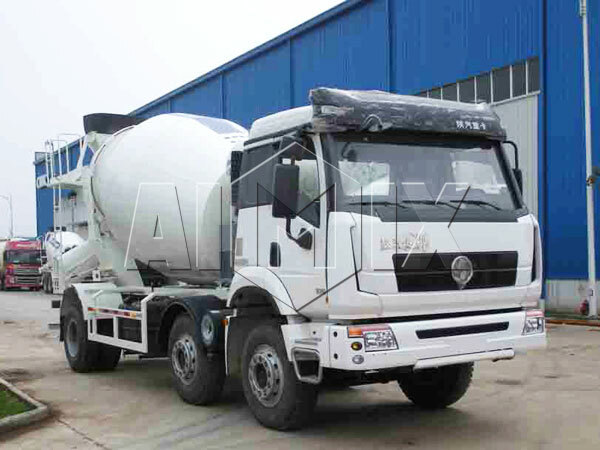 Steering system: make sure concrete transit mixers can drive right according to the driver’s choice, it is made up of diverter of steering wheel and transmission device. 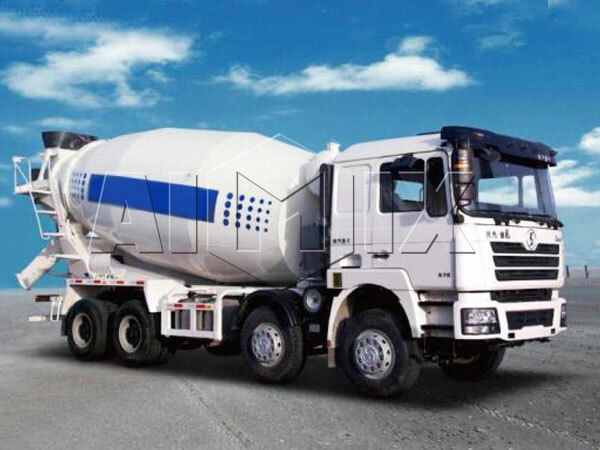 Braking equipment: make the truck slow down or stop, each truck has several independent braking system. 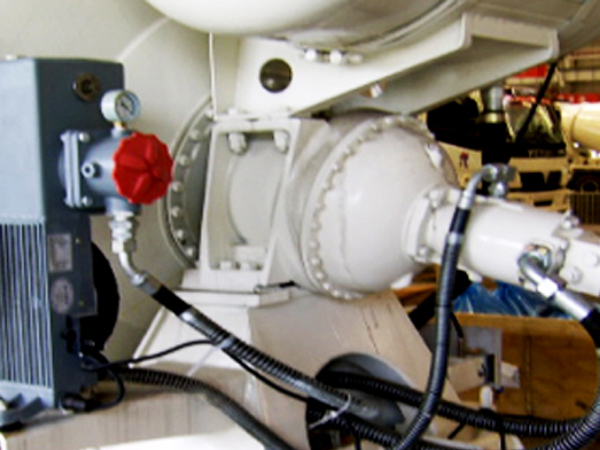 Braking system comprises energy supplying device, control device, transmission device and brake. 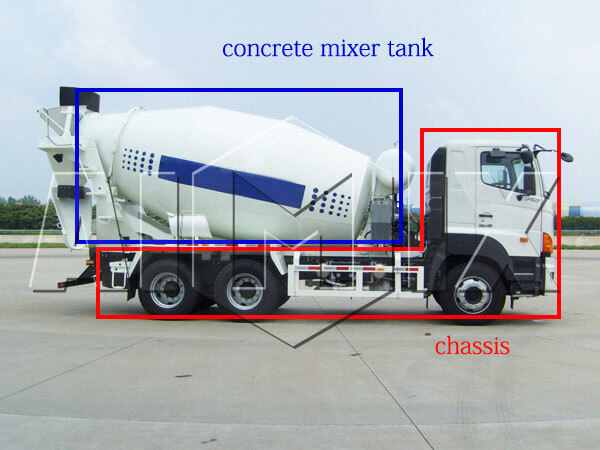 In addition according to brand, there is another way to classify the transit mixture for sale, according to the driving method. There are 4*2, 6*2, 6*4, 8*4. tak 6*4 for an example, 6 represents there are 6 wheels, here regards two wheels as one, 4 represents there are four driving wheels, samely, double means one. 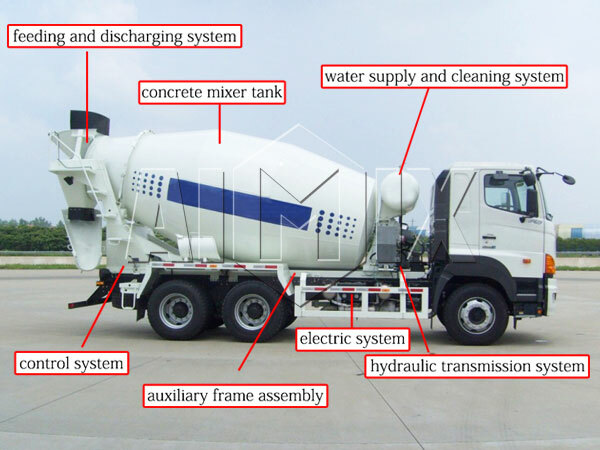 Concrete mixer tank incorporates hydraulic system, water supply and cleaning system, mixing system, feeding and discharging system, stander, operation system, lifting equipment, main channel and deputy channel. 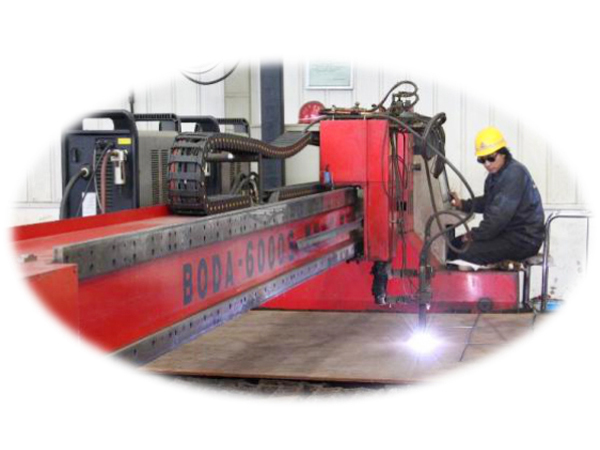 Hydraulic system includes hydraulic pump, hydraulic motor and reducer. 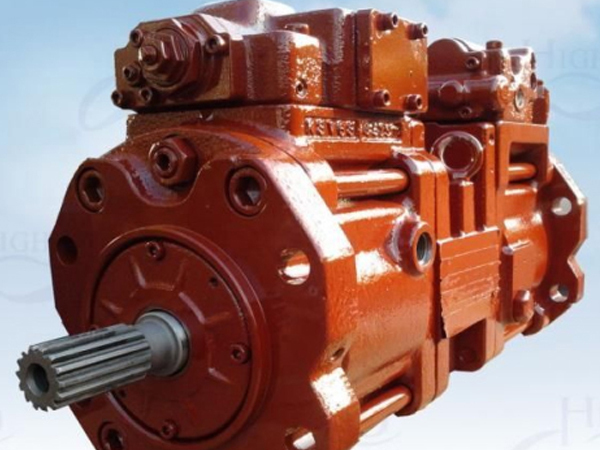 Hydraulic pump: transform the mechanical energy transferred from additional drive shaft into liquid pressure energy, then transfer them to hydraulic motor. Main brands are REXROTH, Salo, ARK, etc, output is 89ml or 90ml. 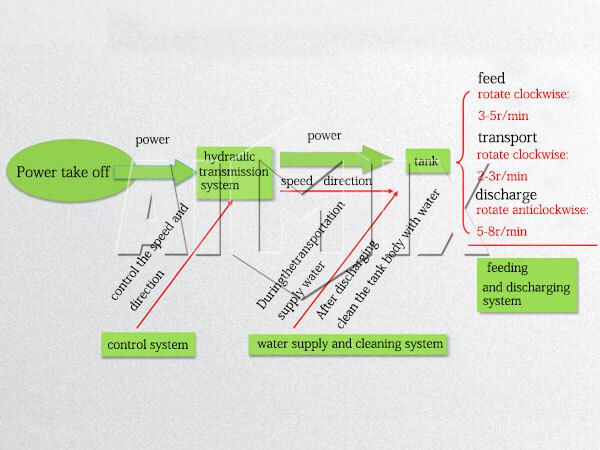 Hydraulic motor: transform liquid pressure energy into mechanical energy and transfer them to reducer. We use REXROTH, Salo, ARK, etc, output is 89ml or 90ml. 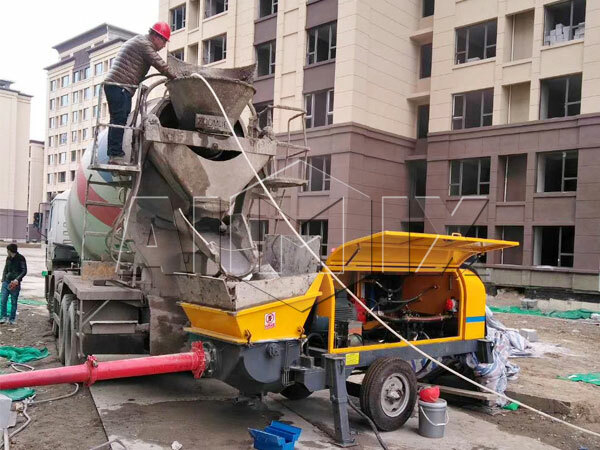 Reducer: slown down the high speed power transmitted by the motor, then transit them to the mixer drum, we adopt German ZF, Italy PMP, Italy TOP, etc, torque is 75000 or 80000N.m. 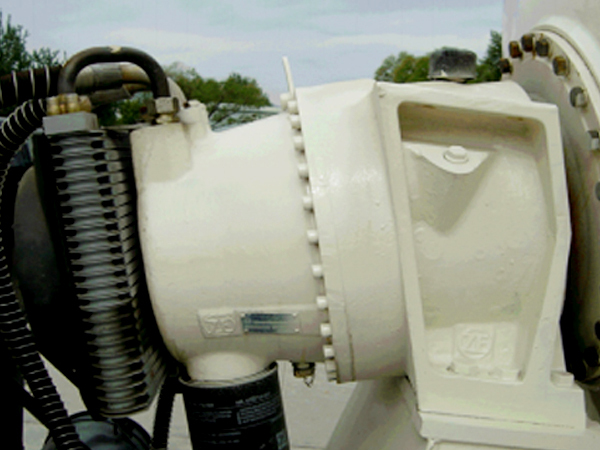 It is used to clean the mixer tank, and prevent the hard concrete attached to the wall of the tank. 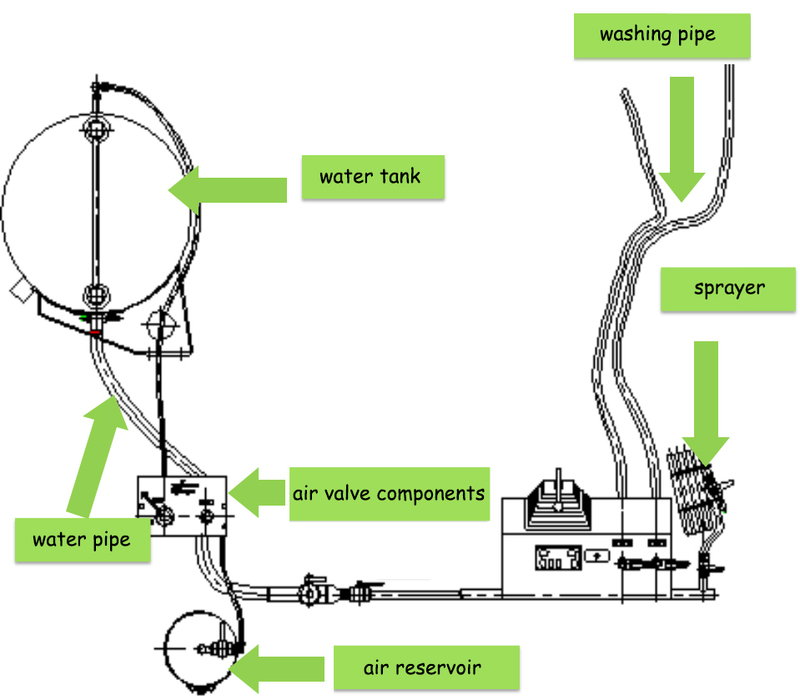 There are two types water supply and cleaning system: pneumatic type and water pump type. Water volume is generally 300L to 500L. Characteristics: volume of the water tank is 450L, pneumatic water supply, air pressure of working is 0.2MPa, main waterway adopts pressureproof and attractive aluminium plastic pipe. 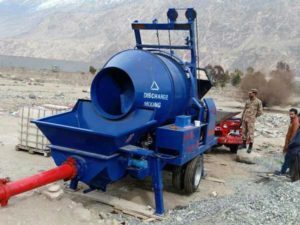 Feed and discharge system: finish the concrete loading and unloading. 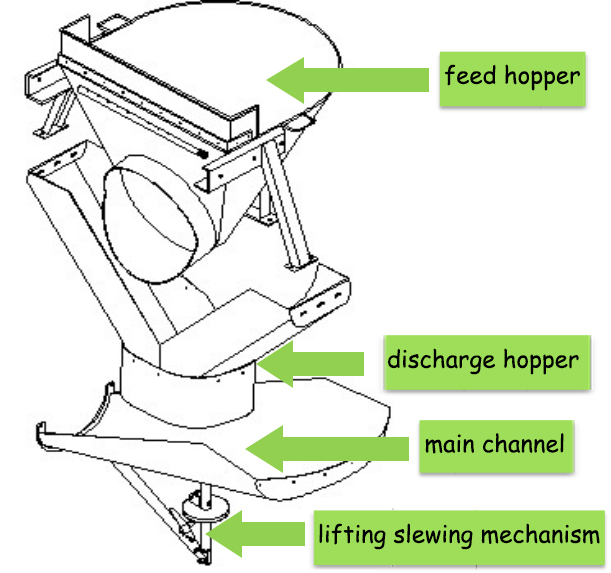 Feed and discharge system includes feed hopper, outlet hopper, main channel and lifting slewing mechanism. Features: 16Mn wear resistant steel plate, cold press molding, it has high wear resistance, beautiful appearance, feed hopper can meet the demand of 3cub loading each time, main channel can be lifted and it can rotate within 180 degrees. 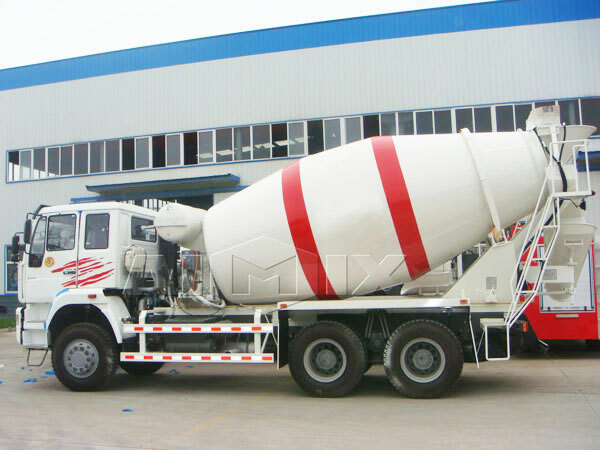 Actually, the working process of concrete drum is the working process of the whole transit mixer truck. 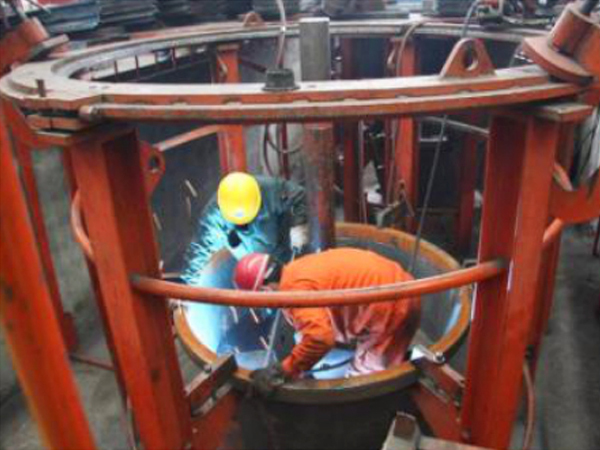 When the concrete rotates along the spiral direction of blades, mixing drum rotate clockwise, when the concrete move along the inner direction of blades; when discharge the concrete, mixing tank will rotate anti clockwise, and the concrete will be discharged outside along the blades. 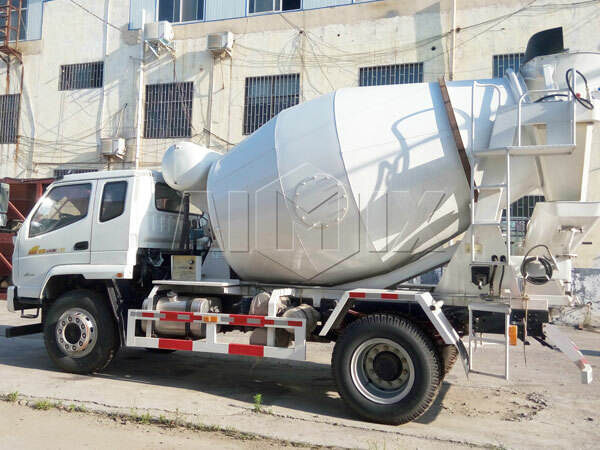 The price of concrete transit mixer for sale is according to the components and technology, it all depends your choice, what configuration deserves what price. 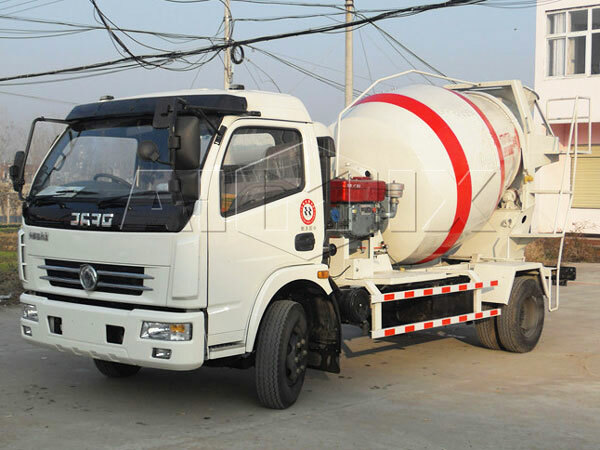 Such as, if you choose howo transit mixer manufacturers, you may get a little higher quotation, but you will enjoy the high performance of the machine. 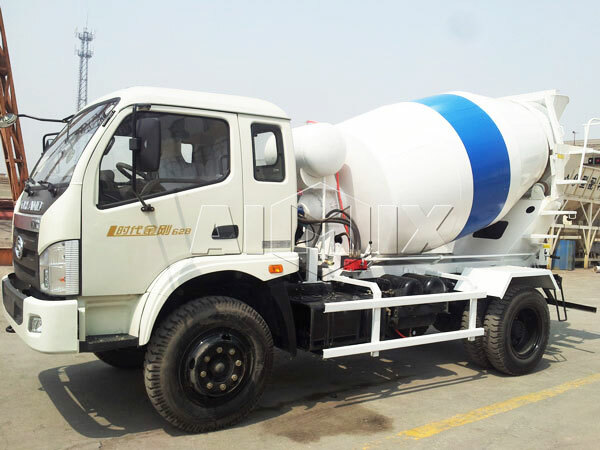 If you need to buy a mini concrete transit mixer, please contact us now, we will answer you within 20 hours!